Architecture of Tiny Distinction: Printable Wall Paper - Yes or No? This week I finally tested out some of the free printable samples of paper you find online. 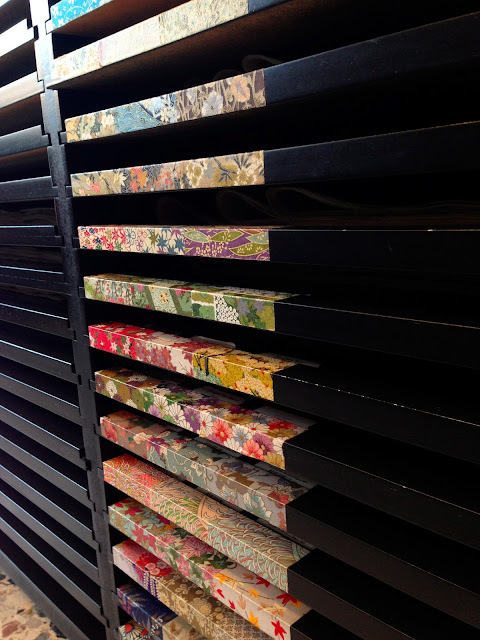 Printing wall paper is a great way to avoid the cost of buying it sheet by sheet - which can sometimes set you back more than the house itself! The site I used was Jennifer's Printables. This site has a great selection of period wall papers, arranged by era. I found the quality varies depending on the pattern of paper. For example, the darker more elaborate papers just didn't seem to work very well. Below is a nice William Morris style paper, but unfortunately you can still see some pixilation. Patterns which have very fine lines don't work that well either because a normal colour printer can't get enough definition. Below you can see that the little birds in the trees can't quite be made out, and end up looking a bit blobbish. This last pattern however seemed to be ok, although it is not entirely clear. I think it might be good enough to use. Because I only had marginal success with the printables I decided to look elsewhere. 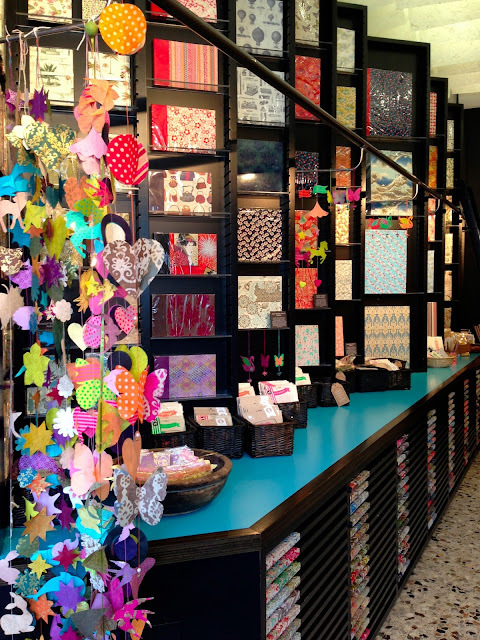 On Saturday I went to Fitzroy (in Melbourne) and found a great little specialist paper shop on Brunswick St. These shops can be found in most major cities, and this one was not too expensive. It had a brilliant selection of all kinds of beautiful hand blocked paper, some embossed with gold and other embellishments in every style under the sun. The patterns were mostly small, and so many of the sheets could be used for wall papering a dollhouse. I was so excited to find the shop! These wonderful papers below could even be used as runners for above wall panelling. There was SO much to choose from! In the end I settled for two lovely designs. Each was the size of about two A3 sheets of paper, and only $6! I will used them for the lounge room or bedrooms. I do have one printed wallpaper in my French townhouse - but I was determined to have a specific paper, unavailable in miniature, that I'd love to have in real life. So, I scaled down, sharpened, and copied the paper from a very good photograph. It's close enough. Future rooms will have proper mini papers, though. Great find! I often look to scrapbooking paper for wallpapering ideas. You found some great designs. Thank you for introducing this topic. We have stores in Ottawa who sell paper of this sort. I just never thought of really looking up close to see if they have mini patterns. I must look into this. The price is certainly right. It's so hard to buy paper online. I have done so to my chagrin when it arrived. So often, the colours differ to what we see on our monitor. I love the paper you have chosen. It will look just right in those rooms for which you have selected it. Hi Emily, I've used Jennifer's wallpapers without problems. Maybe it is the paper quality that is causing your problems. I used 100gms paper which is heavier and a bit smoother than the more normal 80gms printer paper. It could also be that you need to set the printer to 'high quality' or 'best quality' printing, by changing the properties. That makes quite a difference. I did use the lighter coloured ones, though. I love the papers you have selected, and the quality is really good for a home printer. You cant beat crafting or wrapping paper, there can be some really great things out there if you just look differently at them. You have bought some great papers Emily, the downloaded ones couldn't have been a high enough resolution to capture all the tiny details. About the settee, they advise to do any staining before assembling otherwise the glue can cause uneven coverage. Don't know if you intend to stain them? You could email me. What a great shop, I'll have to try and get there. You know I was not confident enough to order wall paper on line because of my last mishap. So in the end I chose a scrap booking paper, but now I know that shop is there it might be worth a trip. I think the last paper you printed is lovely but I think the ones you have chosen will be better in the long run with the finer detail.